Radio Algoa FM Live Streaming Online . It broadcasts from the Garden Route to the Wild Coast. The on-air product is lifestyle focused towards adults who enjoy good music and indulge in quality life experiences. It is the Biggest Commercial Radio Station from the Garden Route to the Wild Coast on 94 to 97fm . Additionally, the station provides global, national and local news as well as gossip, sport, local traffic and weather reports . They have been broadcasting in the Eastern Cape since 1 January 1986. In December 2011 it included the Garden Route and later Knysna, George and Mossel Bay. Best Broowser to Listen : Google Chrome ( Plays well in all modern browsers ) . 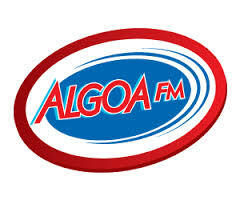 Radio Algoa Contact Details : Algoa House, The Boardwalk, Marine Drive, Summerstrand, Port Elizabeth.